Imagine walking on a red carpet into a store, with a smiling and hospitable employee there to greet you at the doorway, professional makeup artists ready with the latest products and a celebrity photographer waiting with a full studio set-up. It would make you feel like a celebrity, wouldn’t it? 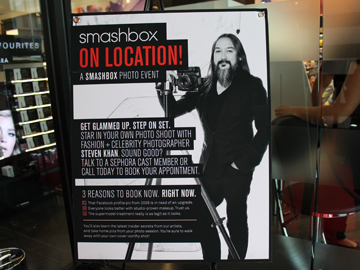 This is the exact experience Smashbox Cosmetics gives everyday people with their On Location Photo Event. By simply booking an appointment, you have the opportunity to have your makeup professionally done and get photographed by renowned fashion and celebrity photographer Steven Khan. 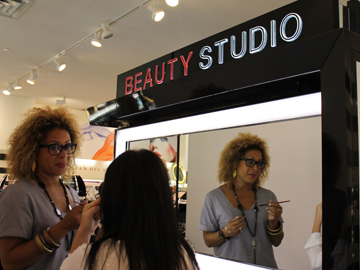 On September 7, during their stop in Toronto, Faze got to experience it firsthand and talk to Smashbox Global Pro Lead Artist Lori Taylor, about the unique event that takes place annually in cities across North America. Smashbox works together with top photographers and artists to create problem-solving makeup in their L.A. studios and share it with people at home. This fall, the brand introduces new products such as Photo Finish Hydrating Foundation Primer and Be Legendary Lipstick to their line of award-winning and classic favourites. Lori, a California native, who has worked with top celebrities like Sandra Bullock, Sienna Miller and countless other high-profile fashion shows and events, explains how Smashbox’s philosophy of light layers is very important and relevant to those who want to be camera ready. “We’re in a social media age, where we are always taking and posting pictures online. Whether it’s Twitter or instagram. It’s important to use light layering for everyday looks, so the camera doesn’t pick up on heavy makeup,” she advises. After a makeup session and tutorial with Lori, Steven Khan takes over, bringing his skills an d talent to capture the newly created look. designers and worked with the likes of Tyra Banks, Beyonce and Fergie; his extensive experience really adds to the celebrity-feel of the shoot. After receiving a makeover using Smashbox studio-ready products and being photographed by a talented professional, you’re guaranteed to walk away with a cover-worthy shot that is profile-picture approved. 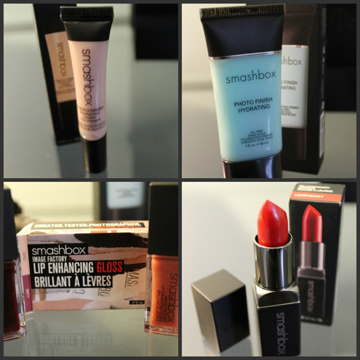 Thanks to Smashbox, every girl has a chance to experience the much-deserved supermodel treatment. 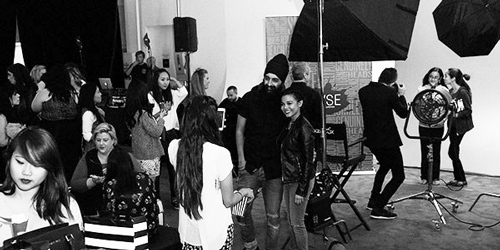 Be sure to look out for the On Location Photo Event when it comes to your city soon!